A must for an art historian. 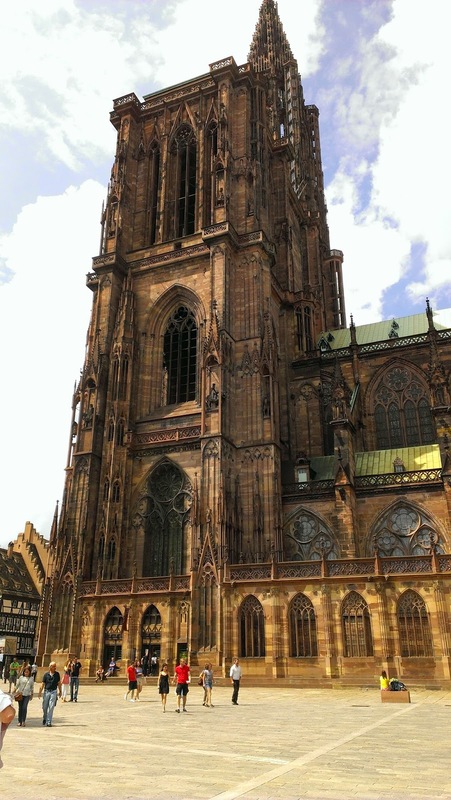 Studying history of arts and loving the Gothic style/period (also Renaissance is my favorite anyway, more about this soon) I was like a little child on Christmas excited about visiting the Strasbourg cathedral. After studying the significations about the figures etc on the doors/windows and about this special pillar inside the cathedral it was overwhelming for me to see this all in real life. Besides the great, beautiful cathedral, Strasbourg is a small lovely city with cute places and delicious food. This mix from German with French architecture/style is just so charming. I can really just recommend to visit it once!